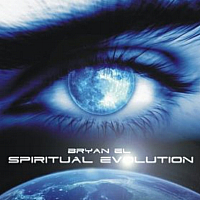 Bryan El is the artist recognized for producing Classical Symphonic New Age music in a highly effective format that makes a grand impression while shedding new light on each and every one of his modern day electronic interpretations. You will find his compositions readily capture your attention right from the first few measures up to the final notes. 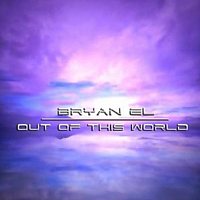 Bryan El is our featured interview guest where the topics of Bryan’s 2 albums, Out of This World & Spiritual Evolution, and his stunning song videos are open for discussion. In addition we take a detailed inquiry into what makes Bryan El’s individualistic approach to music so appealing. Interview host John Olsen had the opportunity to visit with Bryan El. Today we publish their conversation so that our readers can learn more about the ambitions of this New Age musician many have come to recognized by his remarkable electronic symphonies. John : Thank You for taking time out for our interview Bryan. Recently I wrote album reviews and posted several song videos from Out of This World & Spiritual Evolution because I felt our readers would find your projects are boldly unique from many other forms of electronic music just like B.T. Fasmer and I did. I have read many comments from your fans that support my statement too. It was only logical to ask for an interview so everyone, including your fans could learn more about you. Let me ask you this first. Many times an artist will say they have another musician’s influence or they “sound like“ another more recognized artist. I personally feel you break new ground with electronic music in many respects and do not “sound like“ another artist. Do you agree and share the same thoughts or do you feel your music closely resembles another artist? Bryan El : Many people have a habit of comparing the sound of one artist with another. I believe each individual composer is trying to find their own “sound”. This can be based on several different songs and styles they have heard throughout their lives and have been unconsciously inspired by them. Of course I have my own sources of inspiration as any artist does but I feel I am still evolving my own “sound” as I keep producing new projects. I honestly couldn’t say what my music will sound like ten years from now and that’s what makes it so exciting. You will always be able to identify similar instruments being used by different artists like pianos, strings and violins, but what matters to me most is the way an artist mixes these together into something unique…. A melody which expresses an emotion like a story that has never been told before. John : What exactly sets your music apart from so many others Bryan. Is it because your music is Classical Symphony styled, or could it be your upbeat modern day songs are the reason you rise above the crowd from other electronic composers? What are your thoughts Bryan? Bryan El : Good question. It’s hard to give your own music a “stamp” of its own kind and I don’t really like to compare my music with other artists in terms of “uniqueness”. Each artist is trying to capture emotions in their own way and the beauty of it is…. there are no rules how to do it. It allows composers to experiment by tweaking their own sounds and combining different styles into one to create something new and original. Eventually it’s up to the listener to determine what sets a specific type of music apart from others. John : Out of the many genres available for a musician to explore, what led to your decision to embrace New Age and then explore the surreal Classical Symphonic music? Bryan El : It wasn’t a decision really. It’s not like at some point I decided “hey let’s try the electronic new age category for a change”. I actually experimented with different things never knowing where I’d end up before I started a project. I’m not trying to fit a certain “genre” either. It has never been my intention to compose symphonic electronic music as people may call it. It’s just the global mix of so many different aspects and influences in my life that led me to create this and I am continuously searching to expand my boundaries. John : Since the artist music of Bryan El consists of you alone, how exactly do you construct your projects to acquire a full orchestra sound, and do you mind telling everyone what equipment you use while recording? Bryan El : Except from the hardware sounds I get from my Motif 6 synthesizer I am using a mix of VST plugins which I load into my Cubase sequencer. The orchestra sounds like violins & cello’s come from an amazing VST plugin called EastWest’s “Symphonic Orchestra”. The sounds from this VST have been individual-note recorded giving me the freedom to bend the notes to my own will with every detail. The choir vocals come from EastWest’s “Symphonic Choirs” which has a speech utility where you can actually type what the VST plugin should sing in any desired composition. It’s state of the art. Most electronic sounds come from the ReFX Nexus plugin. The Nexus is really awesome. It lets you tweak your own sounds in detail. I don’t know what I’d do without it. Finally the groove is done with Stylus RMX. John : Would you tell us about your introduction to music starting from your earliest introduction up to present day? Bryan El : The earliest I can remember is my mother playing these cassettes with very melodic new age/electronic music when I went to bed as a child. I remember it relaxed me so much and some of those tunes are burned in my memory for life because they had such a deep impact on me. I believe some of those tunes were by Vangelis, Tangerine Dream, Karunesh and Aeoliah. It’s no surprise that when I got a little keyboard for my 10th birthday I couldn’t stop playing with it. Then came the Playstation era. Apart from the many cool games it had there was this awesome music program for it called “Music”. It opened my eyes to all possible things that could be done composing music. It was a basic sequencer which allowed you to freely place your own notes and adapt everything to the smallest detail. It’s a dream come true thanks to AMAdea. The thing people never seem to understand is that I never actually attended any music school or learned how to read notes. When I have a melody in my mind I just systematically search and set each separate note in my sequencer instead of playing it live. It’s quite a time consuming process but patience is always on my side. I think this proves that anybody can make music if you are determined enough to express your emotions. I’ve never believed anybody should learn a specific set of guidelines and rules when it comes to music, I am autodidact and teach myself by learning from the music world around me. John : Since you are one of the many great AMAdea Records Label artists, have you compiled any projects with other AMAdea Records label artists? Bryan El : Indeed there are many great artists distributed by AMAdea but I haven’t had the pleasure to work with any of them yet. Who knows what the future brings, but for now I’m concentrating on a third solo album. John : Many of your fans have said the song Solaris is among their favorites out of the many great songs you have produced. Is Solaris your favorite also and what do you believe is the reason this song is so popular among your fans? Bryan El : Each composer has his own favorite baby and this one’s mine. 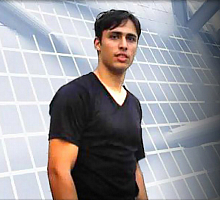 Solaris is selected for airplay on several internet radio stations around the world. I’ve also produced a trance remix of it which has become quite popular on YouTube. The exposure may have caused the tune to become such a hit among my fans. John : Your YouTube music videos are some of the best songs combined with visual effects I have seen, and many would agree with me that they are well conceived. Is constructing a song video and getting everything to correspond exactly the way you want it complicated technically? Bryan El : The most complicated thing is to come up with an idea for the video. Once you have that it’s not that hard to assemble the video itself. I’m a music composer and not a movie designer so I had to come up with the solution of using existing footage to present my own music with. I have hundreds of DVD’s and have enough footage about anything you can think of so then I just listen to my song while I imagine what the emotion is showing me. Then I search for fitting footage to the music. For example…. on my Solaris remix I used small parts of footage from a Tiësto concert dvd and pasted the parts together, muted the original sound, placed my own remix on top and adjusted the footage speed to match my own remix. Eventually it looks as if DJ Tiësto is playing my remix on one of his concerts. All you need is a good video editing program like PowerDirector and you can start editing. Of course none of my video’s are for sale as the images come from existing copyrighted material, but because the amount of footage used is so small it can legally be used under the term “fair use” on YouTube. John : Could you tell us what do you have going at present, where you are at in composing, and what can we expect to hear from you in the future? Bryan El : I am planning a third album as you know and many ideas have been roughly recorded. Be patient though…. It will take me at least a few years to get this new album ready. I can’t tell everyone much about it yet but all I can say to the fans is… it will be worth the wait! John : I am certain it will be highly anticipated, and many like myself look forward to your next release. I just wanted to thank you again Bryan. 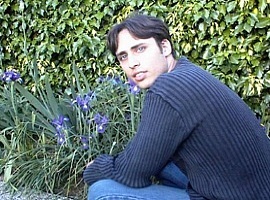 Expect me to write even more about you in the future here at our NewAgeMusicWorld.Com & NewAgeMusic.nu websites. 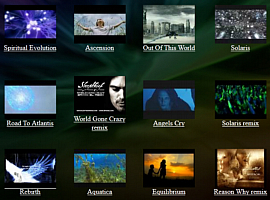 Your music along with the song videos you produce display your talents in a profound way. B.T. Fasmer and I wish you continued success! Bryan El : Thank you John & B.T. Fasmer! You guys are great and it’s an honor to be on your websites. I also want to thank my fans for their support (it pays for my studio :D) and thanks to AMAdea for distributing and promoting my music and for really caring about their artists! You may visit Bryan’s new website at bryanel.com right here and visit his CDBaby.com page. Learn more at his profile page and then discover the many fine AMAdea label artists at the Bulgarian based AMAdeaRecords.com homepage. 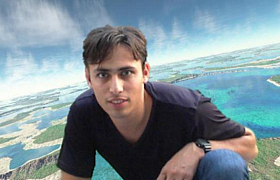 The bryanel.com website is also a great place to sample his music and read the latest news about Bryan El. *AMAdea Records has just announced the grand opening of their independent music store outlet. You may read about the news here then visit their new amadeastore.com website to read about the specials and vast selection of popular music encompassing every genre they are now offering their worldwide visitors. Interview photos are courtesy bryanel.com.